Bharat Sanchar Nigam Limited (BSNL) (A Govt of India Enterprise), New Delhi issued recruitment notification 2014-15 for 962 Post of Junior Accounts Officer (JAO) in executive grade. The examination will be held in 25 telecom circles in India. Age: 20-30 years, age relaxation as per norms. Application fee: Rs. 1000 for OC/OBC candidates. No fee payable by SC/ST/PWD candidates. How to Apply: Eligible and interested candidates should go through detail notification and apply online for JAO(DR) Exam through BSNL website www.externalexam.bsnl.co.in on or before 31st December 2014. Date of written exam: 22nd February 2015. 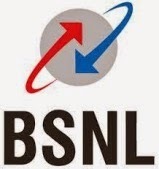 For BSNL JAO Notification Click Here.